amazing outfit honey. love it! Love these pants <3 You look beautiful!! Amazing pants. Love your blog, I follow u now. Yes I think it looks amazing! And in my opinion the best combination with that floral pants is with black color as you have :) By the way, I absolutely love your shoes! I like how you combined the floral pants! I also feel like I have a few! I love, love, love the pants! Adorable! This is one of my favourite looks of yours, you are my fashion hero! I love your floral pants. 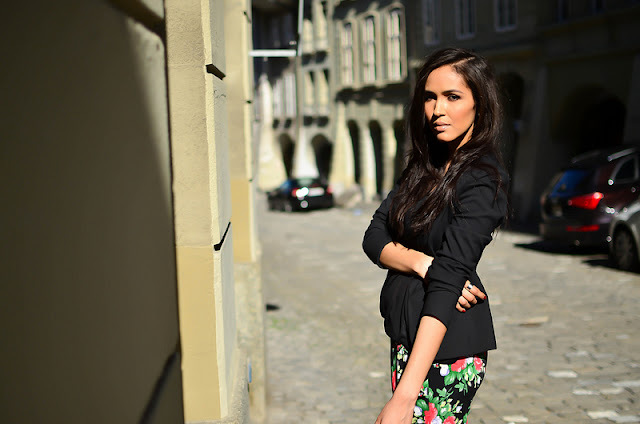 Beuatiful look, the pants are very cool, I love pants with flowers. I follow now. You can follow me!! thanks!! I adore floral patterns in Spring! 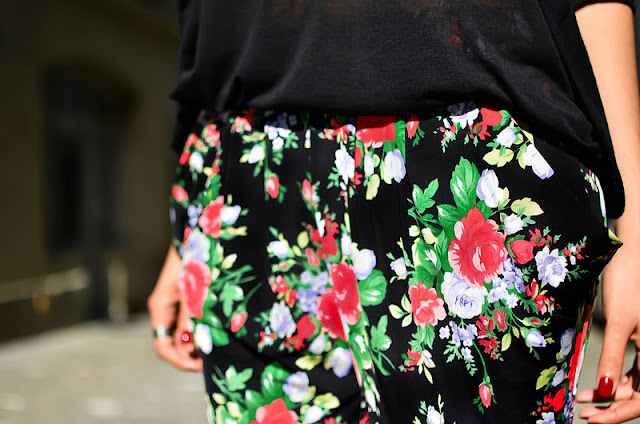 I can´t get enought from your floral pants, too, and your outfit is just perfect! WOW the pants are awesome. Pairing with black top makes the outfit pops! I couldn't find this pants at their website. Not this particular pattern. Help! Nice pics!!!! I love your pants and your sandals!!!! You are very pretty!!! Have a nice day, dear!!!! Kisses! Those pants are perfect for a casual day, just throw on a plain tee and good to go! I love your floral pants, you look so posh and smart.